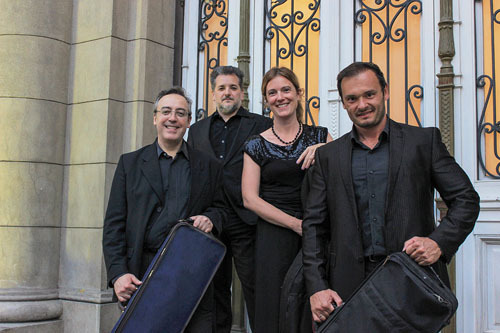 All four players are members of The Buenos Aires Philarmonic Orchestra (Colón Theatre). The name of the group is a tribute to Petrus Guarnerius (Pietro Guarneri), a legendary luthier born in 1655 in Cremona, Italy, and constructed one of the instruments regularly used in the group. 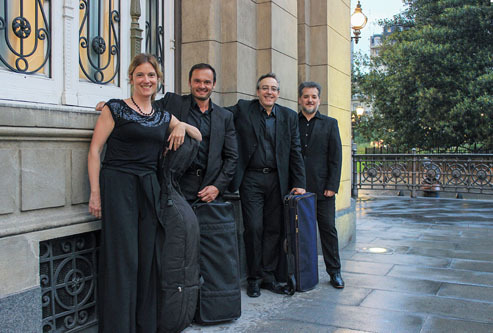 Whilst being a group of recent formation (2009), the Quartet Petrus is the result of a painstaking selection taken place amongst the most outstanding active musicians of Argentina, realised by its founder the violinist Pablo Saraví. 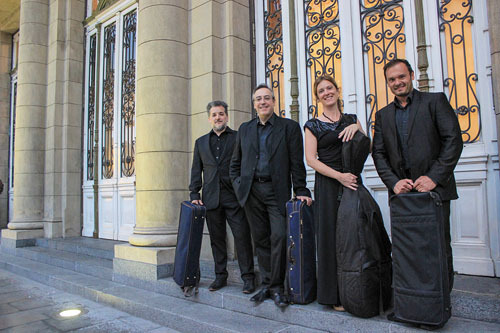 The four members not only have in common notable professional experience but they also share a passion for chamber music and the custom of permanently searching for artistic excellence. The objectives of the group are various: on the one hand to cover diverse repertoires and styles, from early classism to contemporary works and on the other hand to see to the diffusion and recording of little-known works of diverse composers, in particular Argentine composers. Other projects include additional recordings and tours. 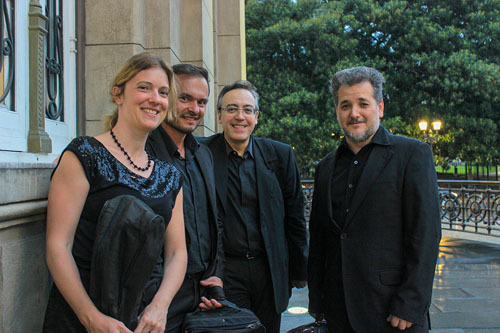 In past years 2011 y 2012, they played in the “Routes of Wine International Classical Music Festival” in Mendoza. They are also invited to participate on next edition, 2013. 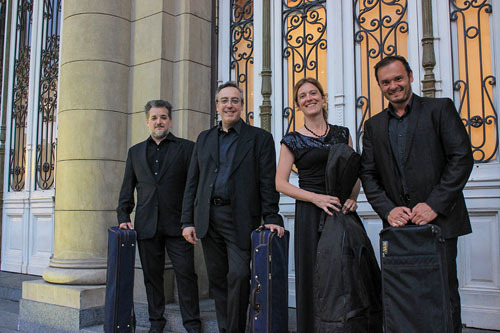 During 2011, Cuarteto Petus played no less than four times in the magnificent Colón Theatre of Buenos Aires, playing diverse programs. One of them were played on ocassion of the presentation of the new courtain done by Mº Guillermo Kuitka. On December 2011, also in The Colón Theatre, they gave the première (for Argentina) of the Concertofor String Quartet end Orchestr, op. 131, by Louis Spohr, with The Buenos Aires Philarmonic conducted by Enrique Diemecke. This concert take place on a crowded hall and with remarkable good critical acclaim. 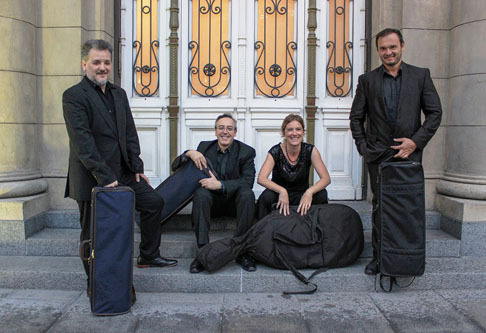 On May 2012 , they released the CD “Tango ballet”, which includes Argentine pieces based on popular roots. This CD was presented on ocassion of the First International Tour of Cuarteto Petrus, in Europe. In Italy, the recording was most welcome, and determined the“Francavilla di Sicilia Award”, rewarding the difussion of Argentine music and culture.